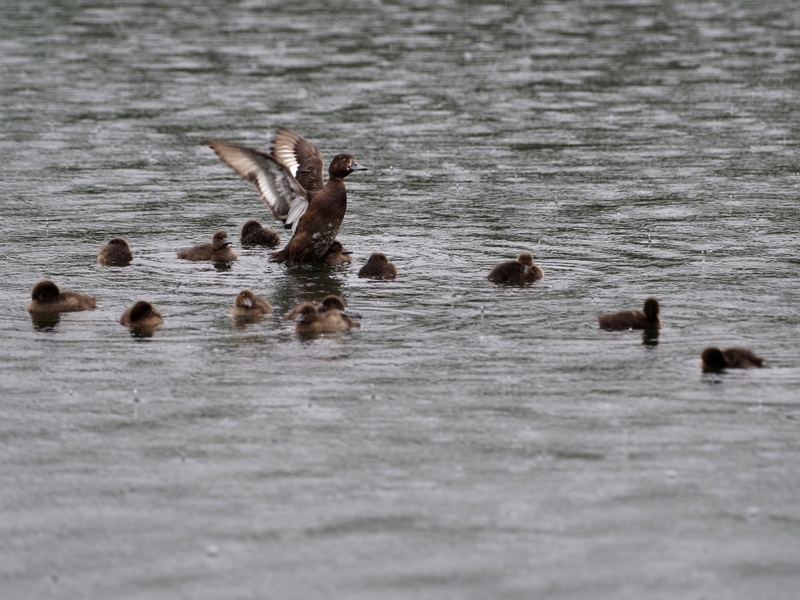 It was the first properly wet day for weeks. 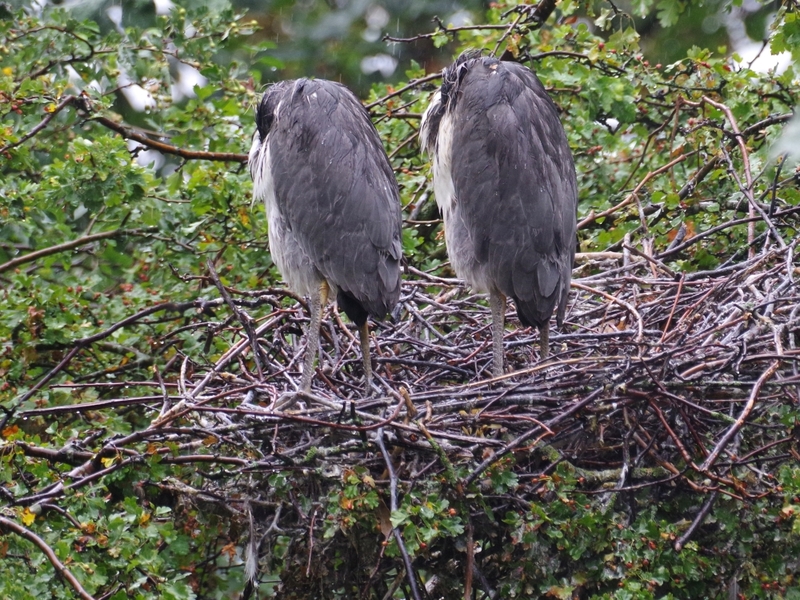 A Grey Heron stood impassively in the rain. 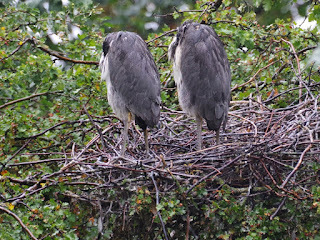 The young herons in the nest on the island are not used to this kind of thing and were looking depressed, hunched up with their backs turned. But the Little Owl at the leaf yard had come out of his hole to get thoroughly wet. 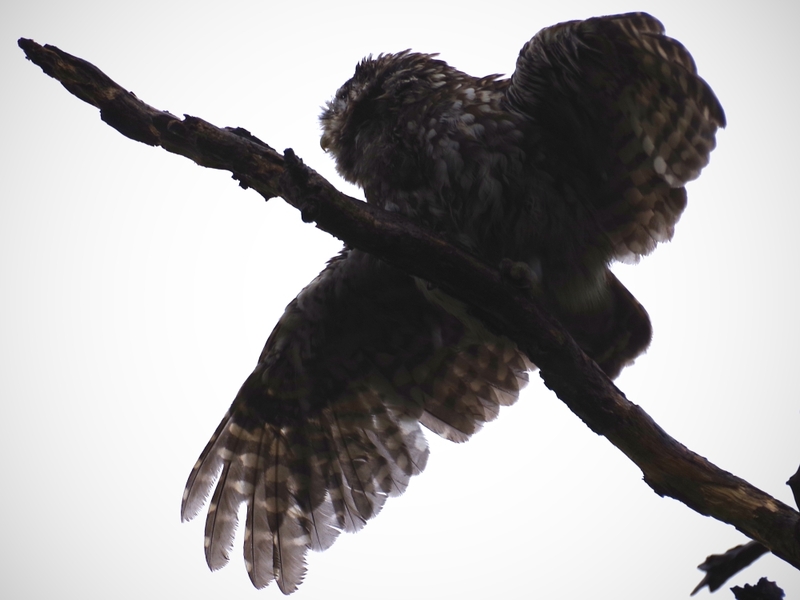 He stretched his wings out to get them soaked, and was clearly enjoying himself. The Kestrels weren't visible on Buck Hill, though they may have been in the long grass picking up worms, which are now available in the softened ground. However, there were plenty of Mistle Thrushes here. 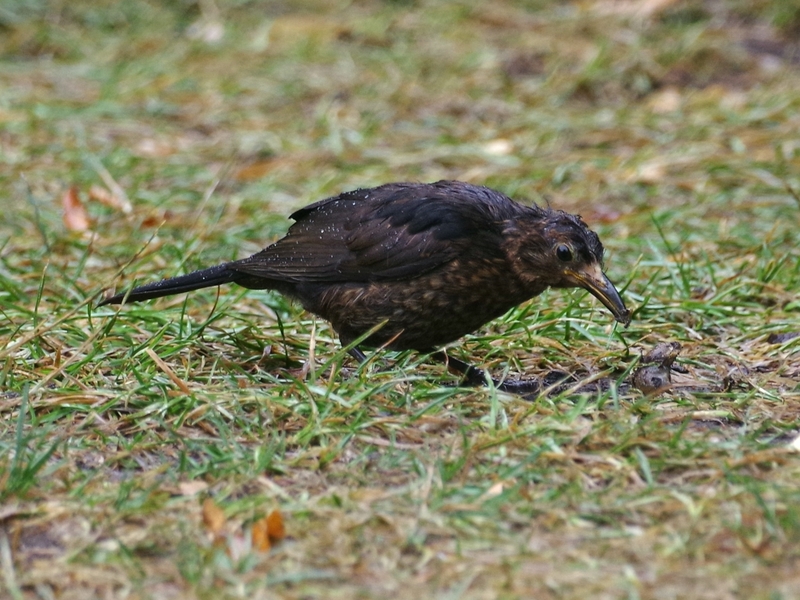 A Blackbird, soaking wet but happy, demolished a slug. 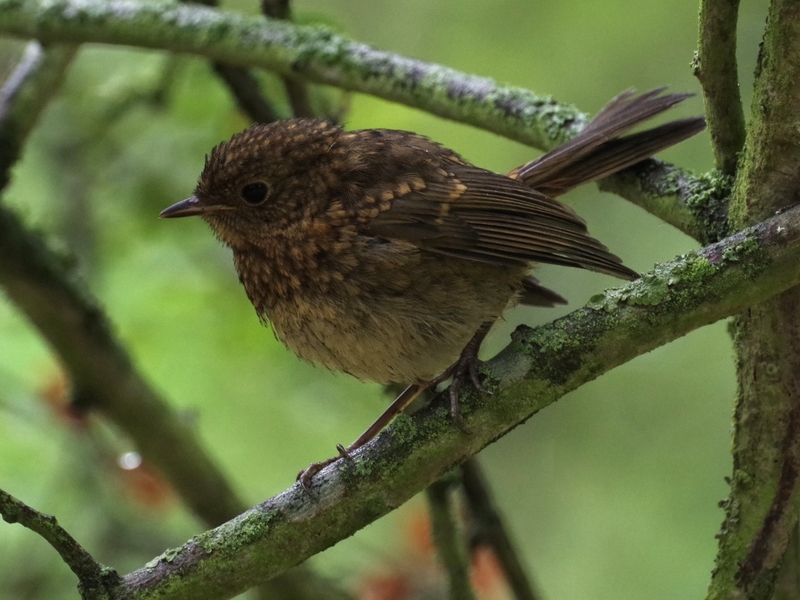 A young Robin sheltered in a hawthorn tree. The lawn around the Albert Memorial has been watered during the heatwave, using water from the lake, and remains green. It attracted some Lesser Black-Backed Gulls, which had been hunting for worms and were taking a break on the kerb. 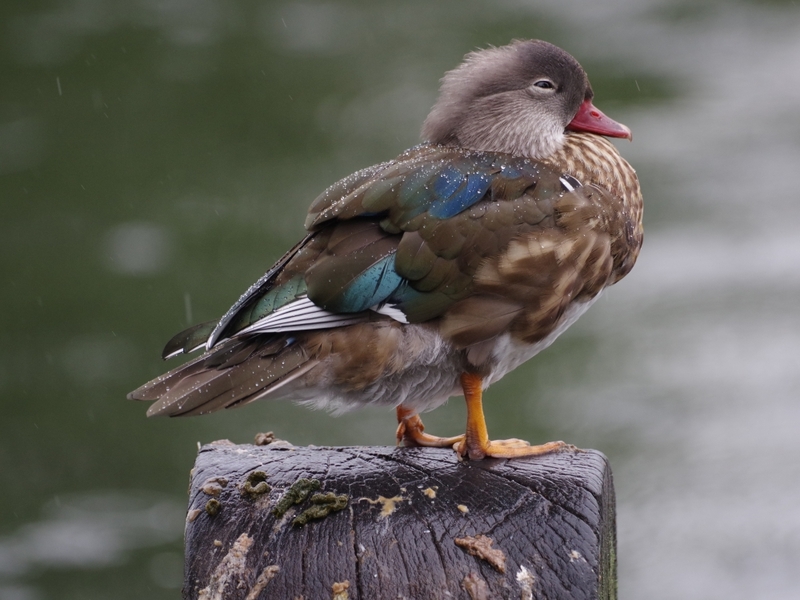 A Moorhen enjoyed a wash in the Serpentine, shook itself dry as far as possible in the rain, and preened. In the Italian Garden, one of the new Moorhen chicks had climbed over the kerb of the pool and couldn't get back, since this involves jumping straight up a one-foot-high kerb. Its mother had come out and was guarding and feeding it. 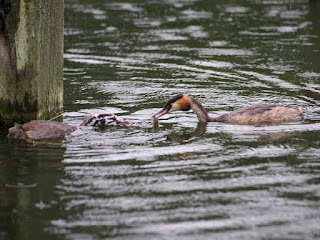 An Italian tourist caught the chick -- quite a feat, since Moorhen chicks can run like the wind -- and put it back in the water. I saw it later, apparently unharmed by its experience. 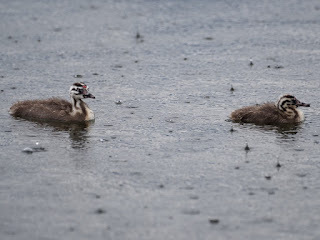 I think that chicks can get up the kerb when they aren't weighed down by rainwater on their feathers, as they have moved from one pool to another. 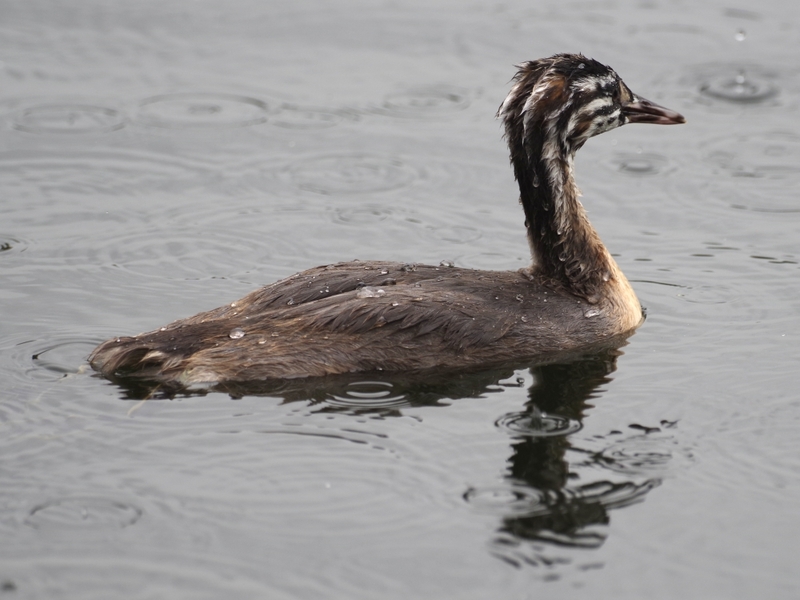 The two Great Crested Grebe chicks from the Long Water reed bed came over to Peter Pan. A parent brought a fish. 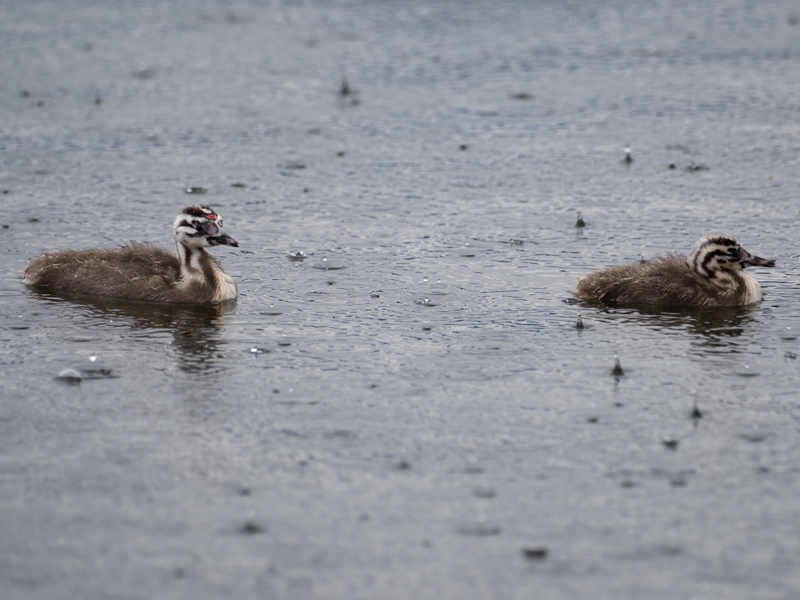 Two of the younger chicks from the island also came close to the shore. The Egyptian Goose family with three goslings and a much smaller adopted one landed at the Vista to feed on the grass, something that can only be done on wet days as otherwise the area is infested with dogs. The adopted gosling is a scrawny little thing and I think it will always be undersized, but it holds its own with the other three and isn't bullied. 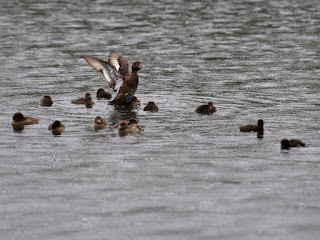 The largest family of Tufted Ducks, with thirteen ducklings, was at the island. Three Mandarin drakes appeared at Peter Pan. Of course at this time of year they are in eclipse and not looking their best. 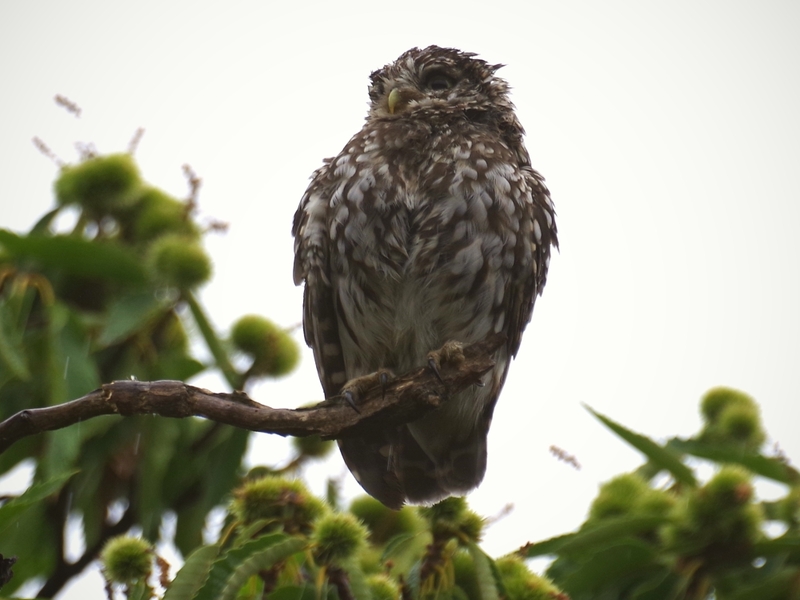 I am not ashamed to confess that I copy the Little Owl's behaviour whenever there is a bit of rain. 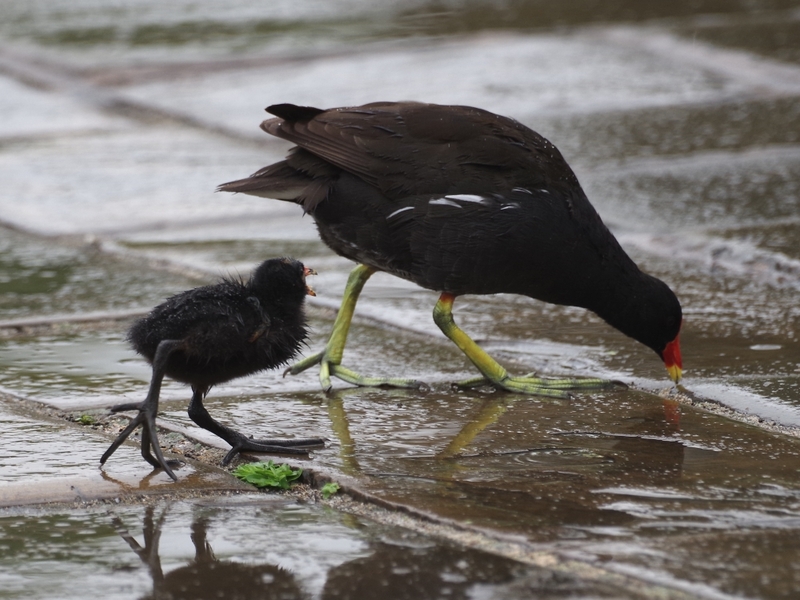 I wonder how the kind-hearted (and presumably swift) Italian tourist managed to catch the Moorhen chick. 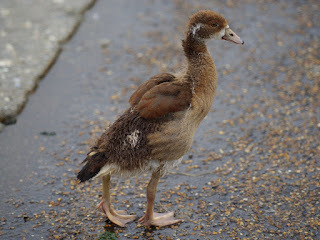 The chick was against the kerb of the fountain, and could only run sideways. He caught it in seconds, so I don't think it was too shocked. On the subject of kestrels (sort of), this is a powerful story. A Galaxy of Falcons: Witnessing the Amur Falcon’s Massive Migration Flocks. Jim.